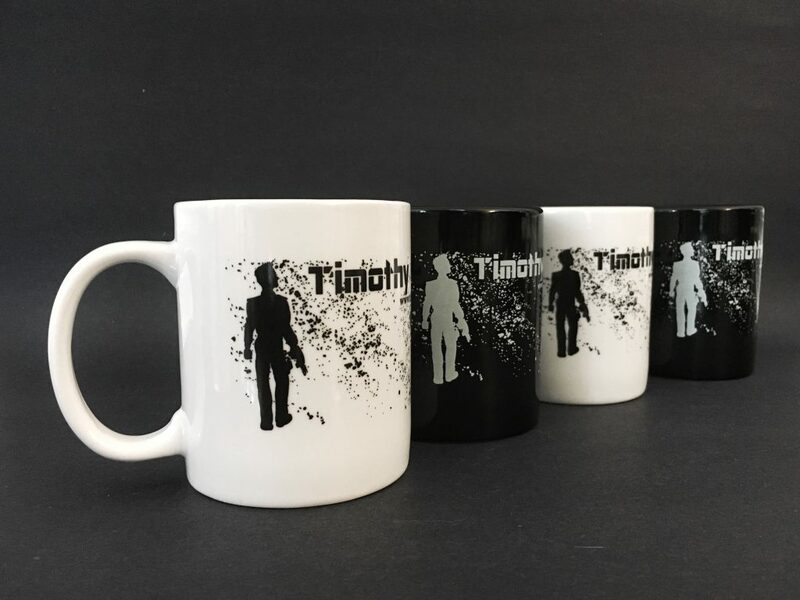 The Imposter Theme has captivated me for many years and I’ve invested a lot of time thinking about that fact. But before I discuss the reasons here, let’s first define the Imposter Theme in Science Fiction. 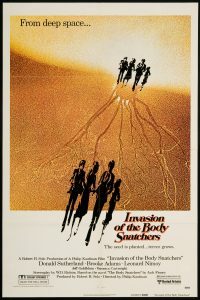 INVASION OF THE BODY SNATCHERS (1978) made number three on my list because of the cast, the story, the ending, and the absolute terror and paranoia that is just dripping off the screen. You can feel Donald Sutherland’s fear during the final hour of the movie. And the ending … it was a gutsy move by the filmmakers. In an interview for the DVD, Kevin McCarthy, star of the 1956 film, stated that the original ending of his version (directed by Don Siegel) was similar — with the end of humanity on the near horizon — but test audiences hated it. As a result, it was changed to a more optimistic conclusion. However, the 1978 version goes full on end-of-the-world. It’s a fantastic way to finish off Dr. Bennell and Elizabeth Driscoll’s story. 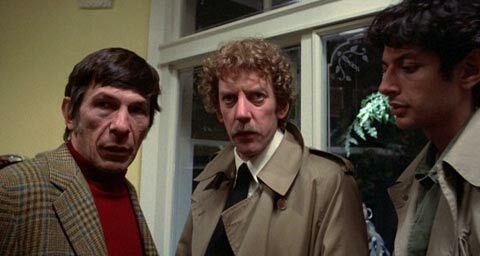 It was my first time seeing Leonard Nimoy in a non-Trek role, and my introduction to Jeff Goldblum. Why does the Imposter Theme captivate me so? I truly believe that it has to do with the sense of low self-esteem that I’ve battled all my life. What are people saying behind my back? Are my friends truly my friends? Are they secretly my enemies, wanting to harm me when I least expect it? 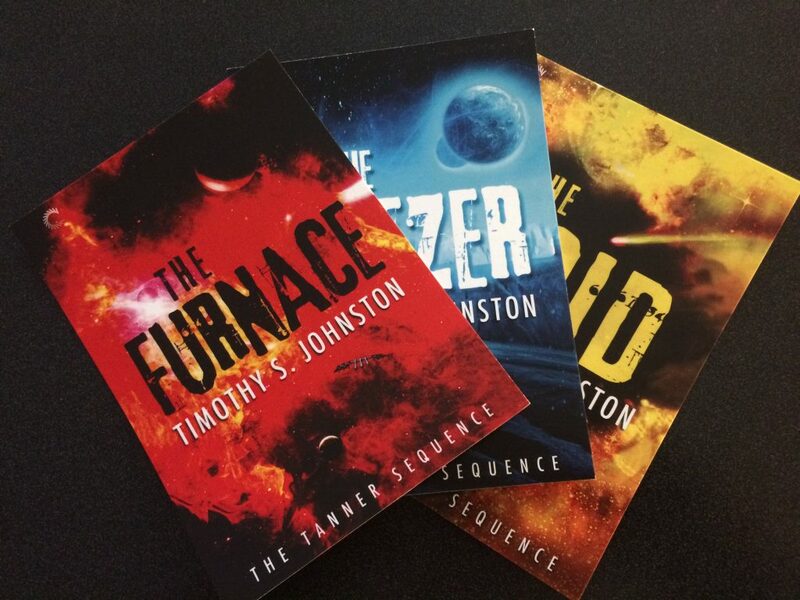 I expounded on my thoughts along this line here, on John Scalzi’s website, where I wrote about my first novel THE FURNACE, an Imposter-themed murder mystery/thriller. I LOVE LOVE LOVE this movie. I can watch it again and again and never grow bored. It’s how I discovered John Carpenter and Kurt Russell. It’s one of the scariest movies of all time. Its themes of isolation, loneliness and desperation explode from every frame. The grisly gore for which critics called Carpenter a “Pornographer of Violence” following its release captivated me. 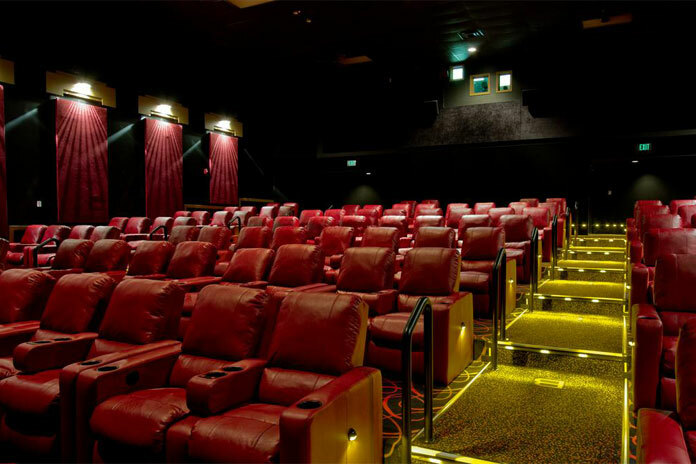 The paranoia and fear is clear in everyone’s eyes, facial expressions and the film’s score. If you haven’t listened to Carpenter and Russell’s commentary on the Blu-ray, then you must go and find it now. It’s a brilliant film based on an exceptional novella. I love the setting, possibly because of my Canadian upbringing in the frigid cold and snow of our winters, but the isolation and danger to humanity if the thing survives is clear in the second half of the movie. It’s a riveting story and I could go on about it for 25 000 more words. 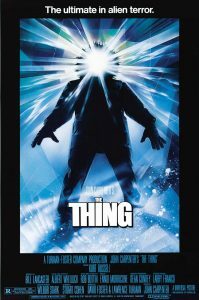 My books THE FURNACE and THE FREEZER are in part an homage to THE THING. One day I will devote a whole series of blogs to John Carpenter and the joy he’s given me over the years. Once again, the Imposter Theme appears in one of my favorite films, and the reason is obvious. It resonates with me — the fear that the people I love may not love me back. That the people I care about might one day betray me. Or, because I fear losing the people I love. I worship this film. 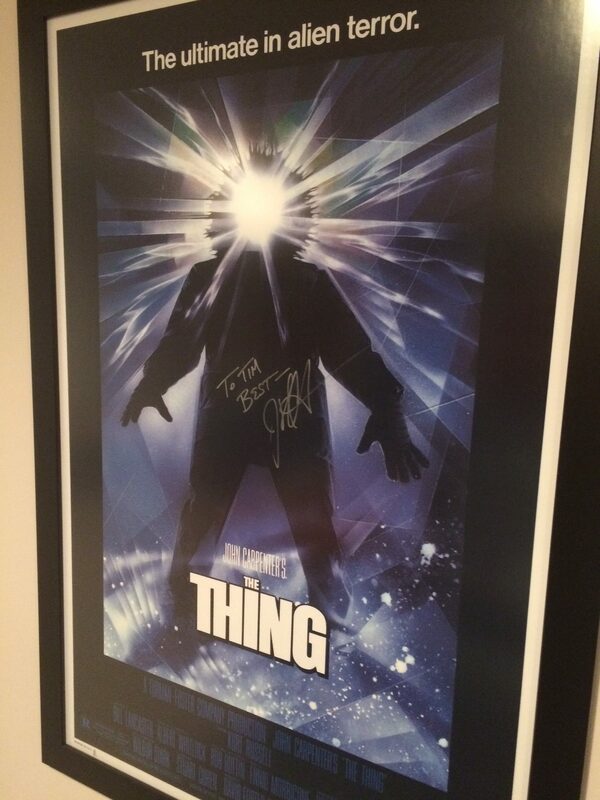 I even have a poster signed by John Carpenter in my home theater. In my fondest dreams I might one day collaborate with Carpenter on a project. It is one of my ultimate goals in life, and one that I will continue to strive for. This movie used to play on Detroit’s Channel 7 frequently on weekends while I was a child. At the time I didn’t fully understand the themes of creationism vs. evolution, of science vs. faith, or of history vs. scripture. But that ending … WOW. I’ve read that audiences in theaters back in 1968 sat in a euphoric and stunned silence for the last minute of the film and well into the credits. I wish I could have experienced it. It’s a perfect SF film, not because of the science elements in the story — which do exist, but they are minimal — but because of the themes. It’s masterful at examining class struggle and religion in human beings. Rod Serling of Twilight Zone fame wrote the screenplay, which is quite different from Pierre Boulle’s novel. 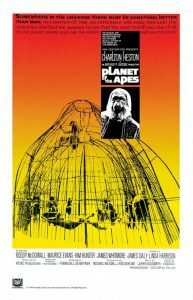 I’ve enjoyed the newer iterations of this series, RISE and DAWN OF THE PLANET OF THE APES, but felt that WAR (the most recent film) dropped the ball in completing the circle back to the original. The last hour dragged, there was no explanation for The Forbidden Zone, and there were other elements that just ignored the original. 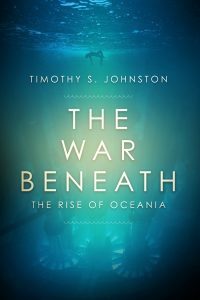 In the 1968 film, Charlton Heston brought a sense of gravitas to — at its outset — a potentially silly concept, and the movie quickly escalated into an intelligent, thoughtful and thrilling examination of humanity and religion. 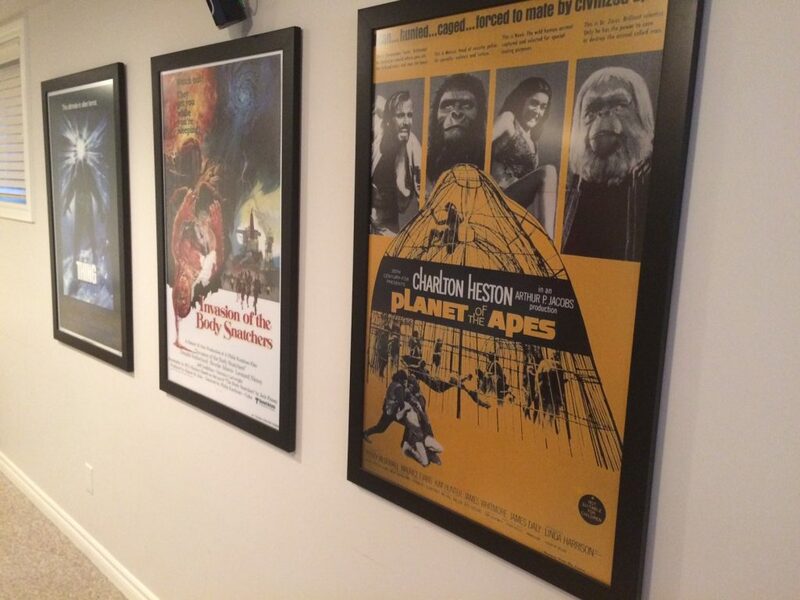 THE PLANET OF THE APES is my favorite film of all time.